When a friend keeps on posting mouthwatering dishes on their Facebook wall, you know it's time to inquire about their recipes. Well, Femi of www.femicorazon.com is a dear photographer friend who has been cooking up a storm and was generous enough to share her yummy dish! Mix soy sauce and fish sauce and hot sauce in a bowl. Heat the oil in a wok over medium-high heat until the oil begins to smoke. Add the garlic and onion, stirring quickly. Stir in the bell pepper and cook for 30 seconds. 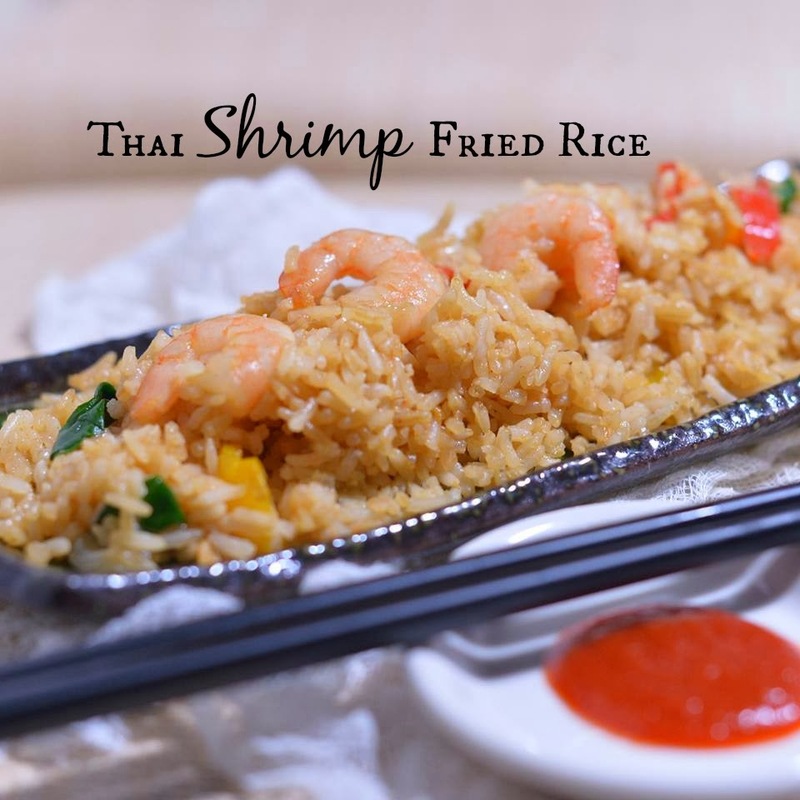 Raise heat to high and stir in the chilled rice and spread the soy sauce mixture over it; stir quickly until the sauce is blended with the rice. Use the back of a spoon to break up any rice sticking together. Remove from heat and mix in the basil leaves. variations: use any kind of meat, but if you do, cook it in the oil before adding the rice. Definitely making this!! I'm a sucker for fried rice so I know I'll love this! omg i love thai food and their fried rice is the best! i am going to try this! That looks delicious! I'll have to try your recipe soon! Fried rice is so tasty! this seems so easy to make! love this! i have never tried it with shrimp! This sounds so yummy! I love shrimp fried rice! I like that this recipe is so easy. I also like the addition of the sriracha sauce! Thanks for the share! I've never made anything like this, and it sounds and looks sooo good - and amazingly easy! I can't wait to try making it - I'll be careful with that hot sauce, thx for the tips. This sounds so delicious! I would love to attempt this. I love thai but I don't know of any places around here (just moved!) so this would be fun to try at home. Thank you for posting this delicious recipe. I'm going to have to make this dish. Hubby and I love Thai rice. In fact we had some tonight for dinner from our favorite Thai restaurant. My husband would love this recipe, thank you for sharing. Mmm!! I looove shrimp!! If I was rich I think I would live off of them!! I am making this asap!! Yummo! !